Bananas are practically a sleeping pill in a peel, but a sweet and delicious natural option! Bananas are rich with tryptophan which helps to stimulate the production of melatonin and serotonin to promote sleepiness, relaxation and feelings of calm. They are also a great source of magnesium which is a muscle relaxant. Studies have shown that magnesium can be helpful in preventing you from pulling yourself out of sleep. Bananas also contain Potassium and a variety of B-group Vitamins, and Vitamin B12 - especially useful when combating insomnia. 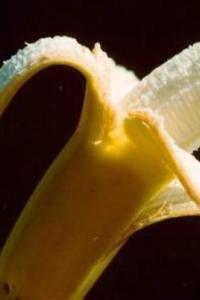 Dr Oz recommends making a Banana Tea using the whole Banana including the skin. If you're game, you can then eat the boiled banana - including the peel! For extra flavour, spinkle with cinnamon. The reason chamomile is such a staple of bedtime tea blends is its mild sedating effect - it's the perfect natural antidote for restless minds/bodies.Mint is another option – not only cleansing on the palate but it contains natural ingredients with excellent calming, relaxing and anti-inflammatory properties so you’ll feel more comfortable and settle to sleep better. It's not a myth! Milk also contains tryptophan - an amino acid that has a sedating effect. Rich in calcium, milk also helps the brain use tryptophan. Plus there's the psychological throw-back to infancy, when a warm milk just before sleep time comforted and calmed. Particularly effective for young children as part of a gentle bedtime routine. Another effective natural tranquilizer and relaxant, which has been used for many centuries in traditional Chinese medicine for fighting with insomnia and inducing sleep. Honey contains great amounts of glucose, which helps to calm down our nervous system and relax. A little honey drizzled into your warm milk or herbal tea will promote a long restful sleep. A small baked spud or a small portion of mashed potatoes (with warm milk) for your evening meal won't overwhelm your GI tract, and it clears away acids that can interfere with yawn-inducing tryptophan. If you’ve got the munchies, ditch the toast and sugary options. Oats are a rich source of sleep - inviting melatonin. A small bowl of warm oats with a splash of honey and warm milk will fill the gap and promote a restful night’s sleep. Even better if you can sprinkle 2 tablespoons of flaxseeds on your bedtime oatmeal. Flaxseeds are rich in omega-3 fatty acids and a natural mood lifter. A handful of these healthy nuts can induce sleepiness, as they contain both tryptophan and a nice dose of muscle-relaxing magnesium. Eating a handful of almonds 1 - 2 hours before going to bed can be of a great help to insomniacs. It's the most famous source of tryptophan. Put a lean slice or two on some whole-wheat bread mid-evening, and you've got one of the best sleep inducers in your kitchen. As always, a short word of caution. Do not expect to have a good sleep after drinking 2 litres of warm milk with honey one night. Please. Everything in moderation! Remember that many of these products can cause allergic reactions and must not be overdosed. There is also a risk that some products could exacerbate other conditions. Developing better eating habits - consuming greater amounts of fresh and natural foods, and leading a healthier life style will lead to improvements in your sleep!